TEAGUE, Harry, a Representative from New Mexico; born in Gracemont, Caddo County, Okla., June 29, 1949; attended Hobbs High School, 1964-1966; business owner; Lea County, N. Mex., board of commissioners, 1999-2006; chairman, Lea County, N. 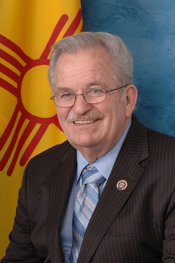 Mex., board of commissioners, 2003-2006; elected as a Democrat to the One Hundred Eleventh Congress (January 3, 2009-January 3, 2011); unsuccessful candidate for reelection to the One Hundred Twelfth Congress in 2010.